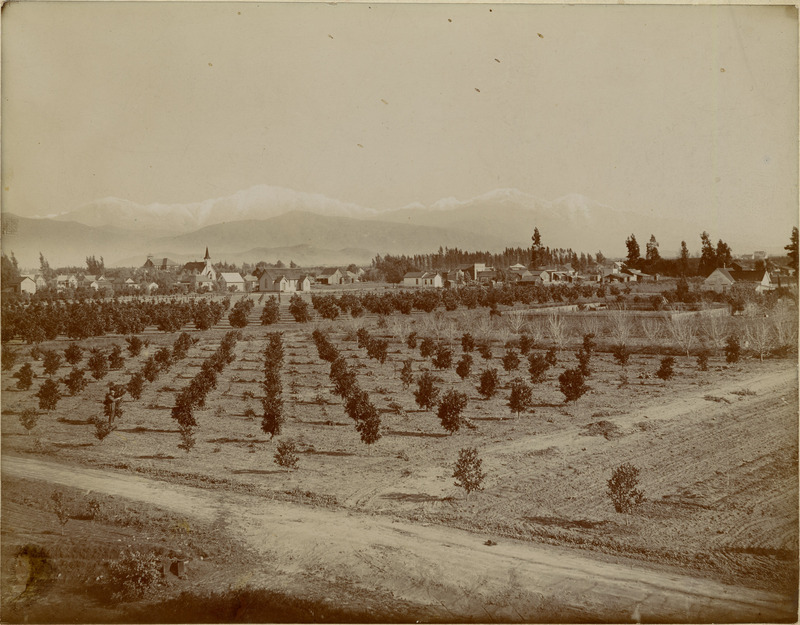 This is the oldest-known photograph of Covina. 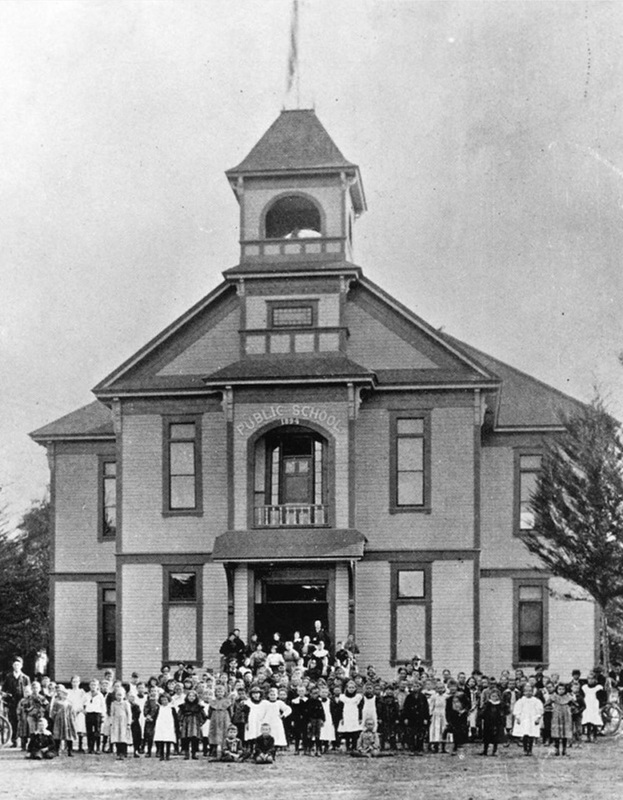 It was taken in winter, 1894, when the town was only 9 years old. The view is to the northeast from Fourth Avenue (foreground) and the alley between Center and Dexter Streets. In the middle distance, Badillo Street passes from left to right just past the young orange groves. Courtesy California State Library. Click on image for enlargement. The photo is also noteworthy for depicting the very first house ever built in Covina. The Samuel Allison residence (1885), at 160 West Badillo Street. 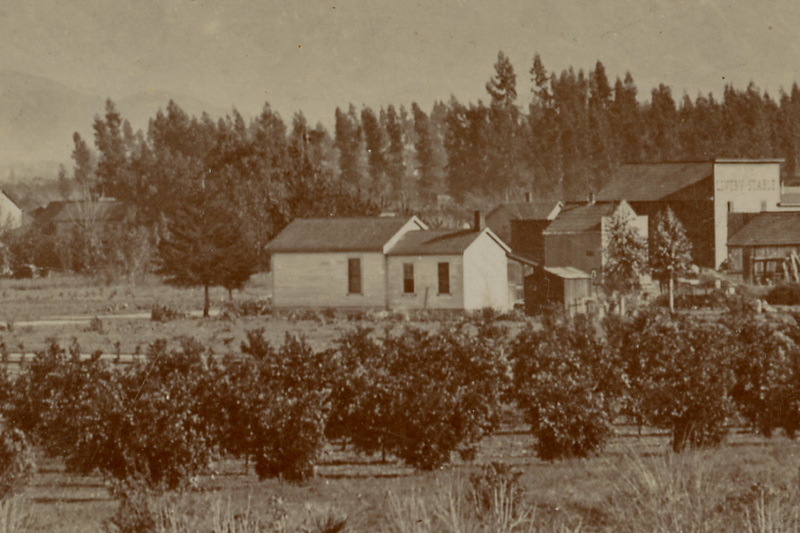 The image can be dated precisely because the school that we know was built in 1894 (at left, below) can be seen here currently under construction. 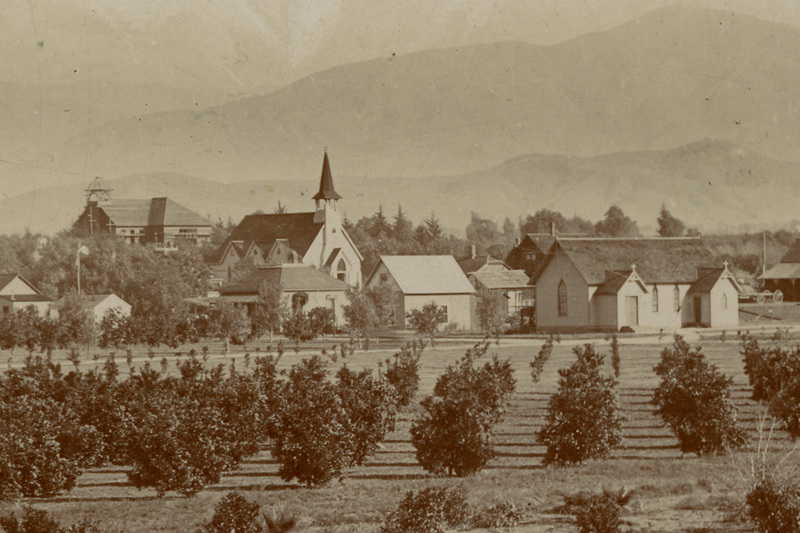 Historically-important buildings from l. to r.: the Covina Public School (1894), the Methodist Church (1888) on College Street, and the Episcopal Church (1893) at Badillo and Third. Courtesy Los Angeles Public Library. The intersection of Citrus Avenue and Badillo Street is not visible from this vantage point, however, the gazebo-like structure and the lone eucalyptus tree mentioned in my last post mark the corner's location. 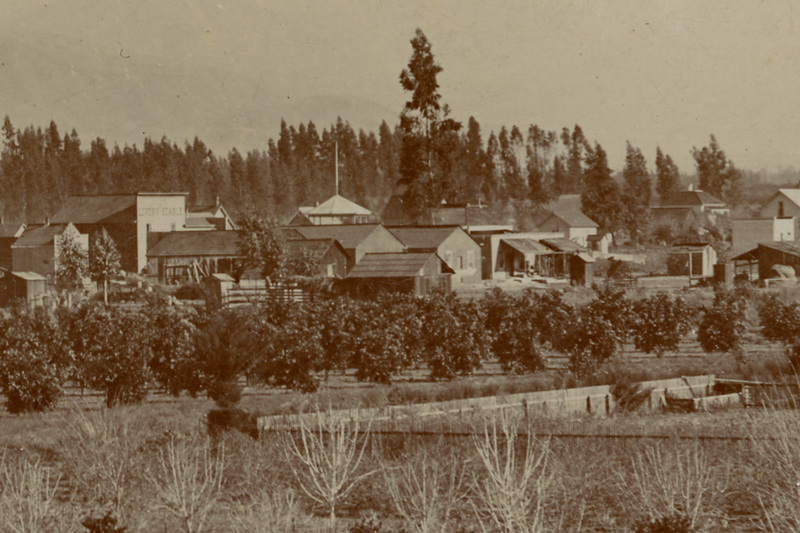 Downtown area of pioneer-era Covina. 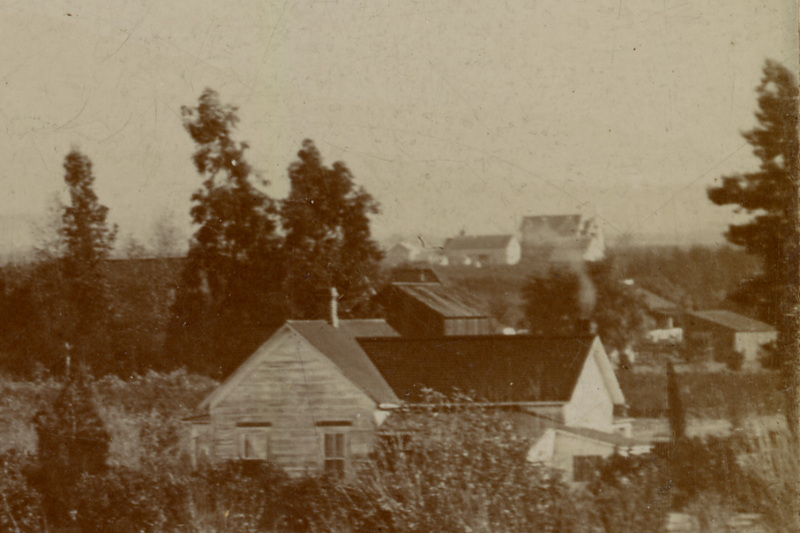 Below, the Ruddock family estate – "Mountain View" – can be seen atop Red Hill in the distance at right. The mansion's size and opulent architecture are a stark contrast to the simple settler structures found in the rest of Covina at the time. The wisp of smoke coming from this and other chimneys in town plus the snow in the mountains are the clues that this photo was taken in the wintertime. 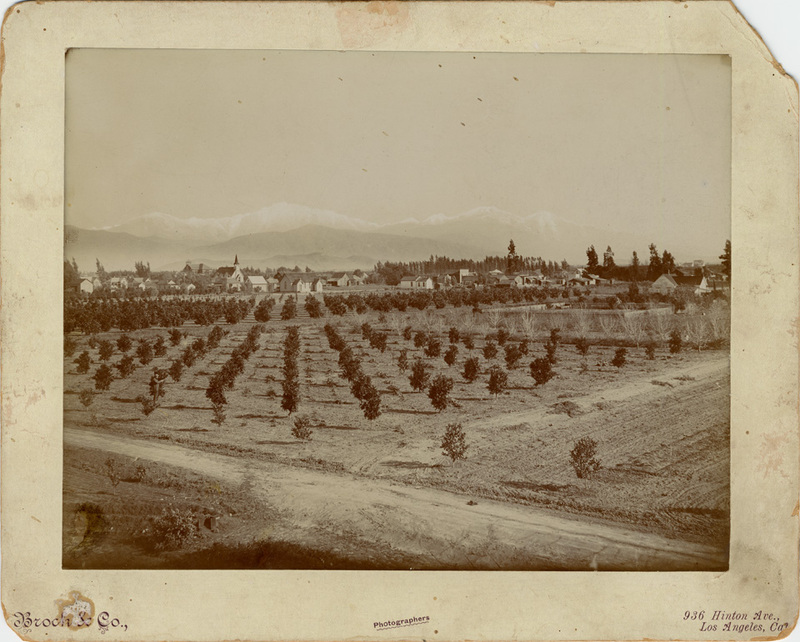 Special thanks to Glenn Reed for his help identifying what's-what in this amazing portrait of old Covina!